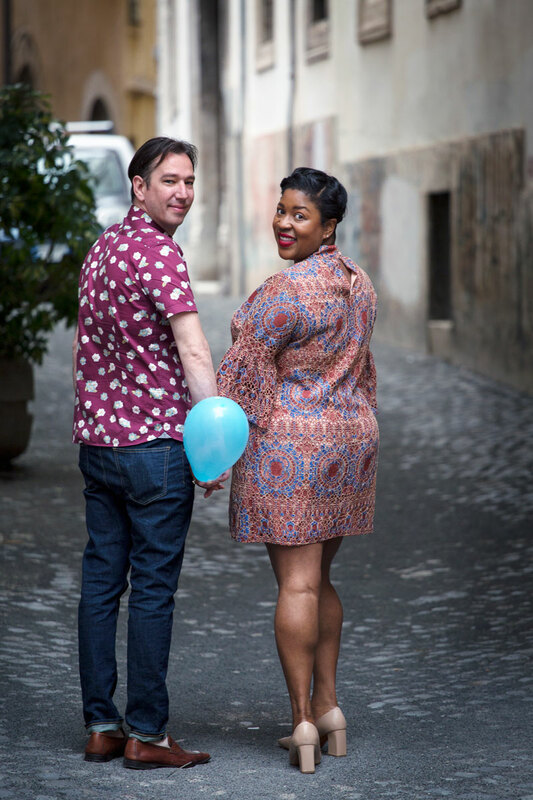 This is a photoshoot we truly enjoyed doing! 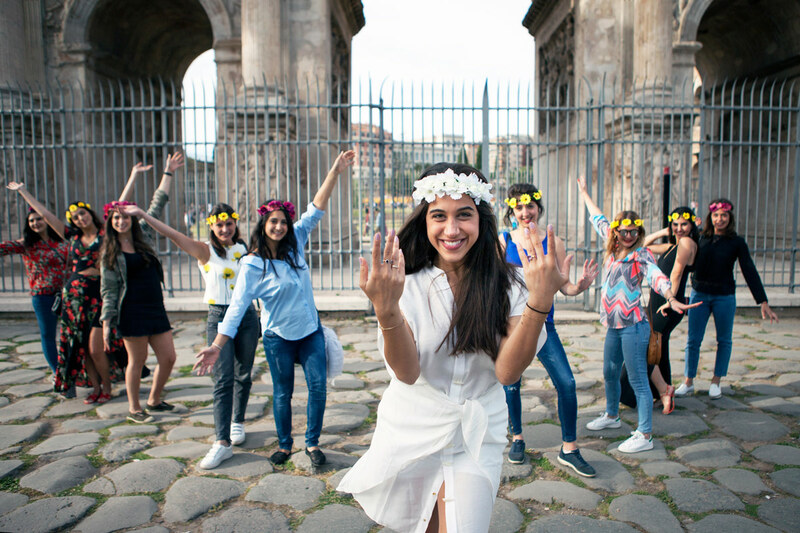 These stunning Lebanese Vestals adorned Rome’s monuments, roads and Piazzas and made them even more beautiful thanks to their good spirits, fun and beauty. 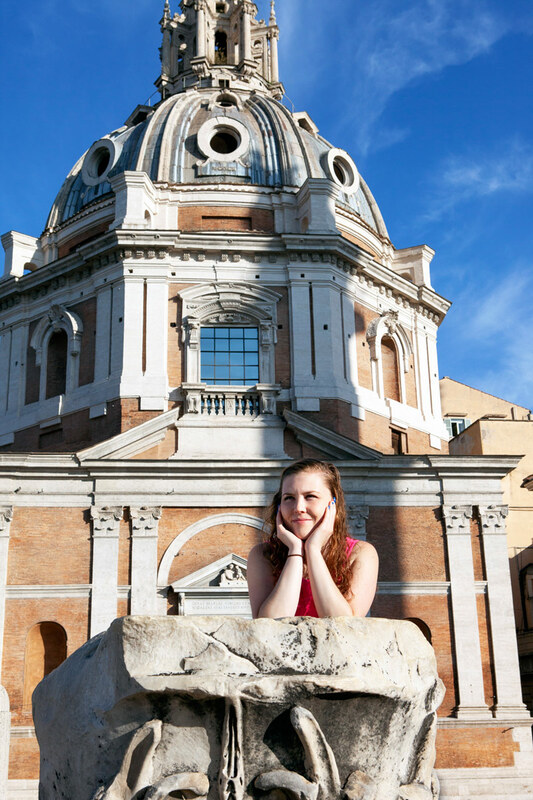 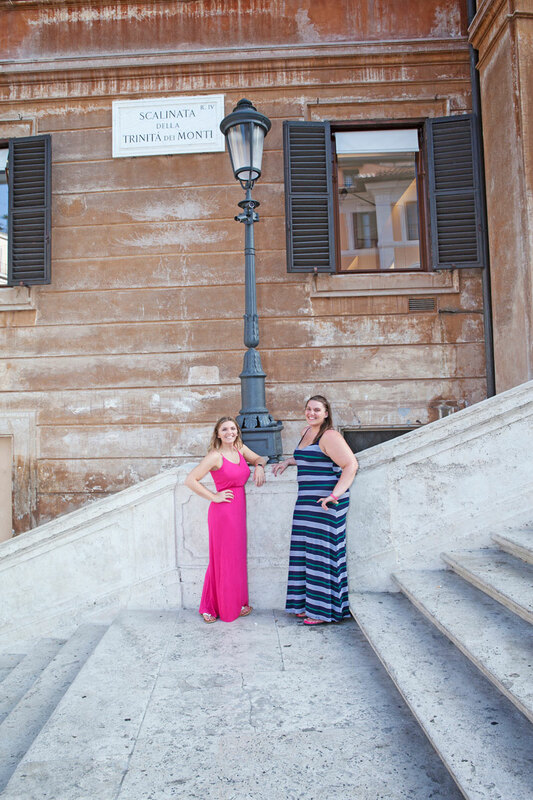 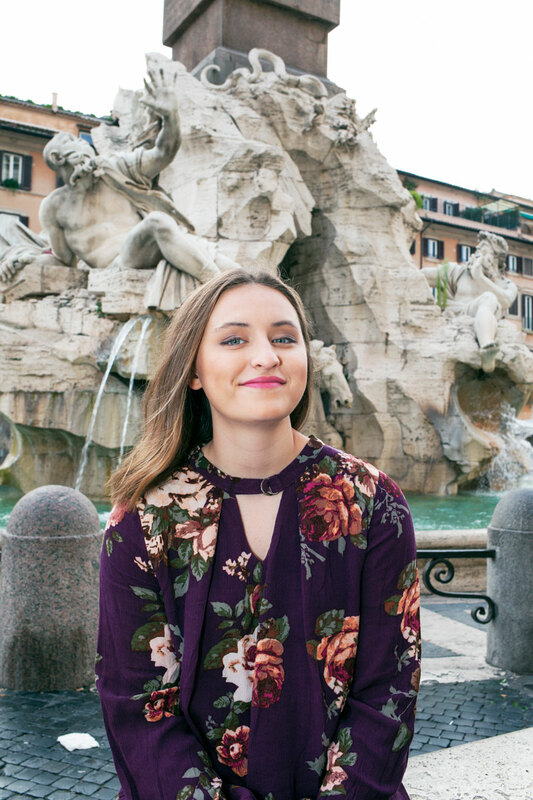 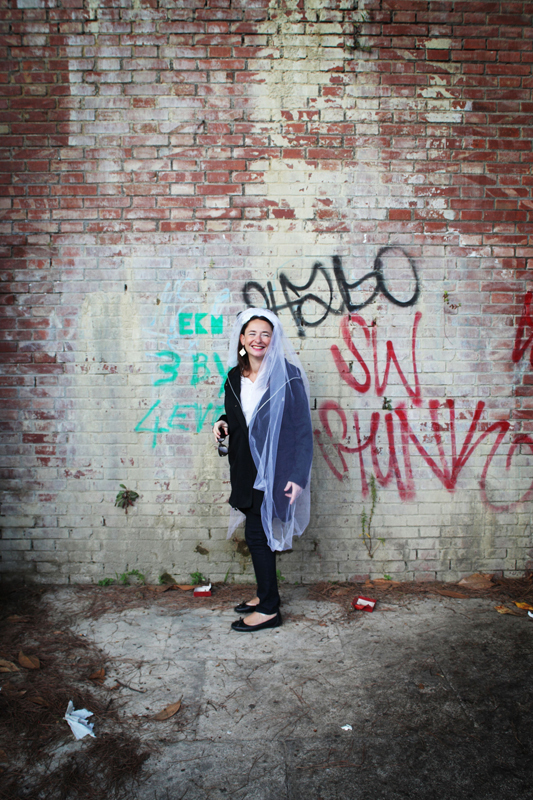 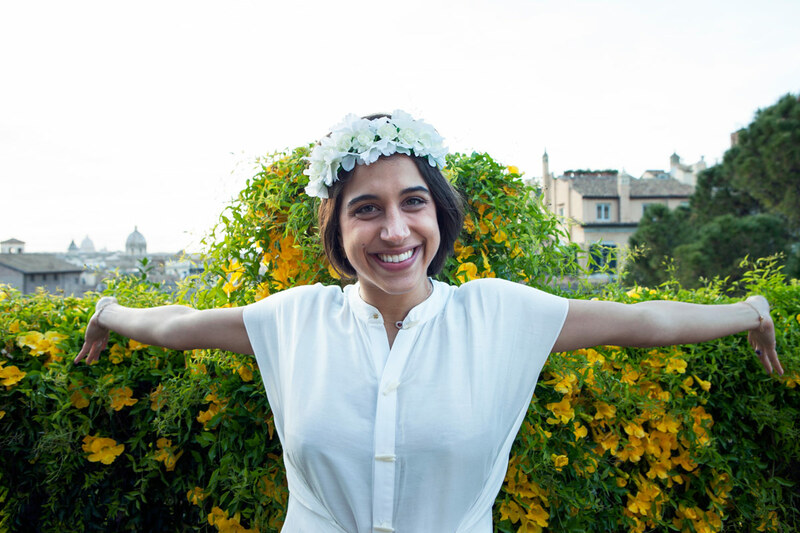 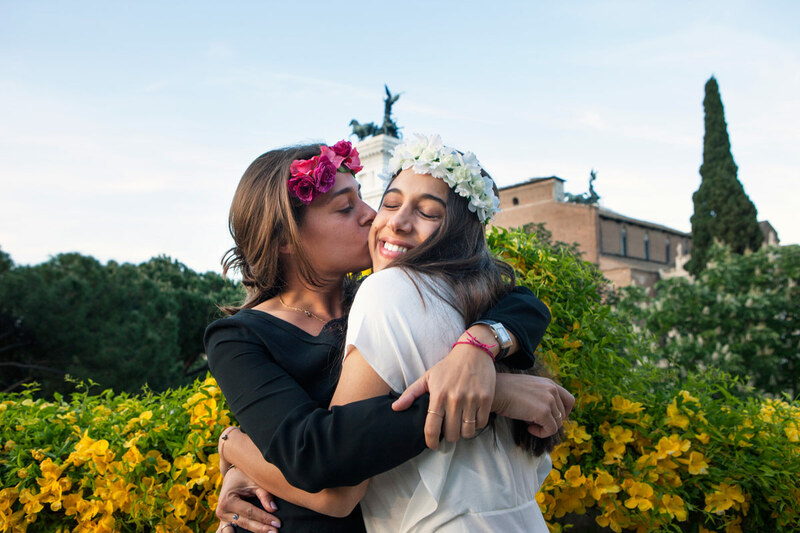 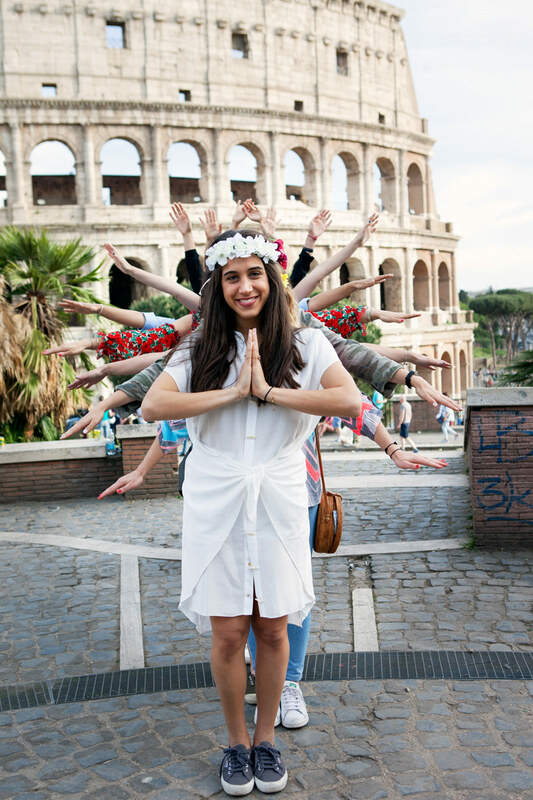 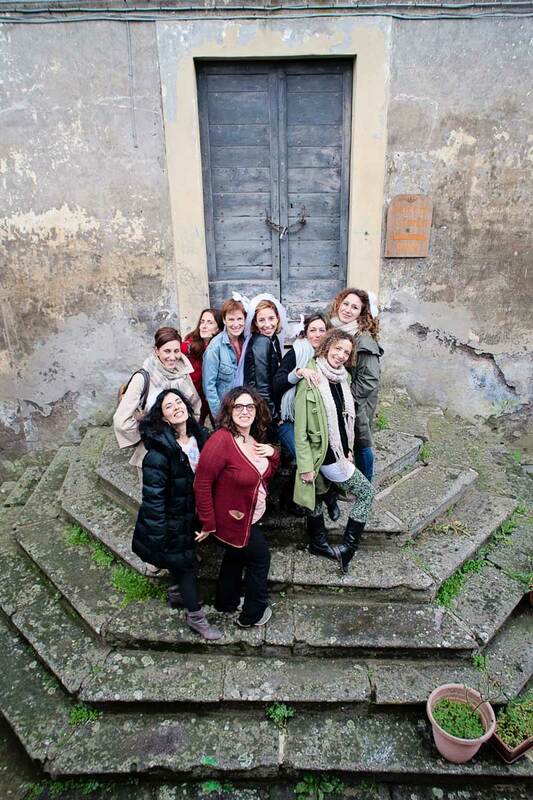 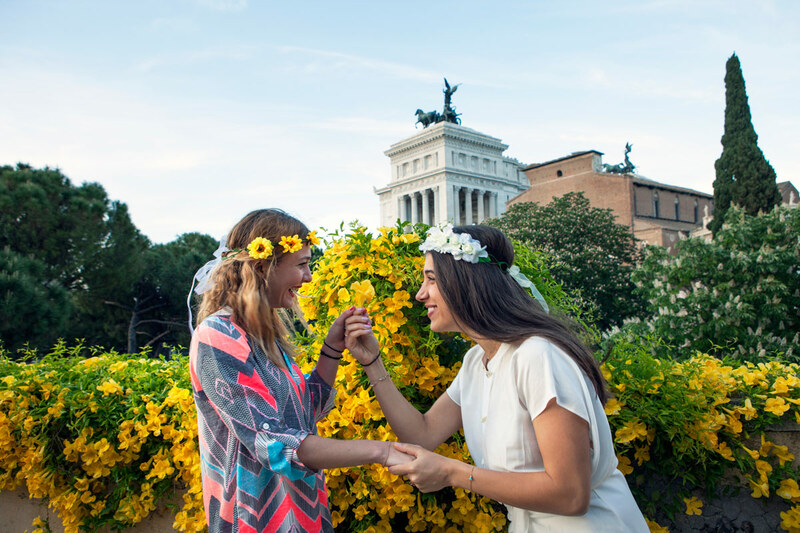 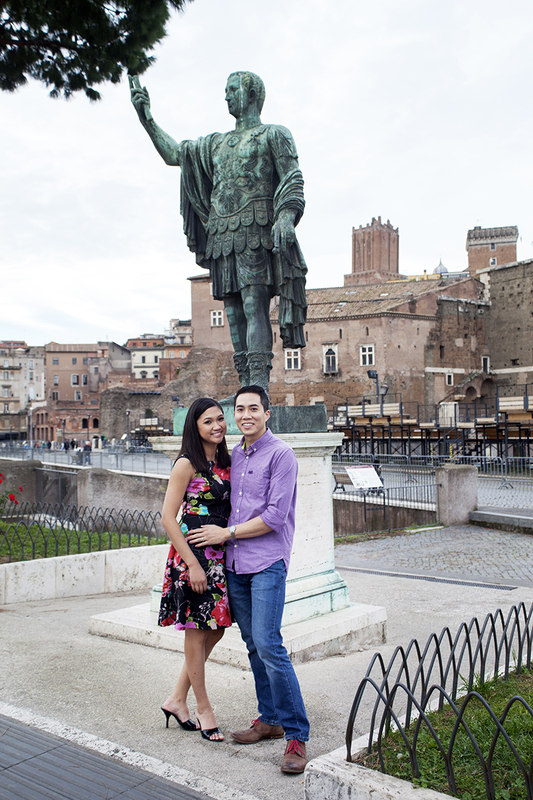 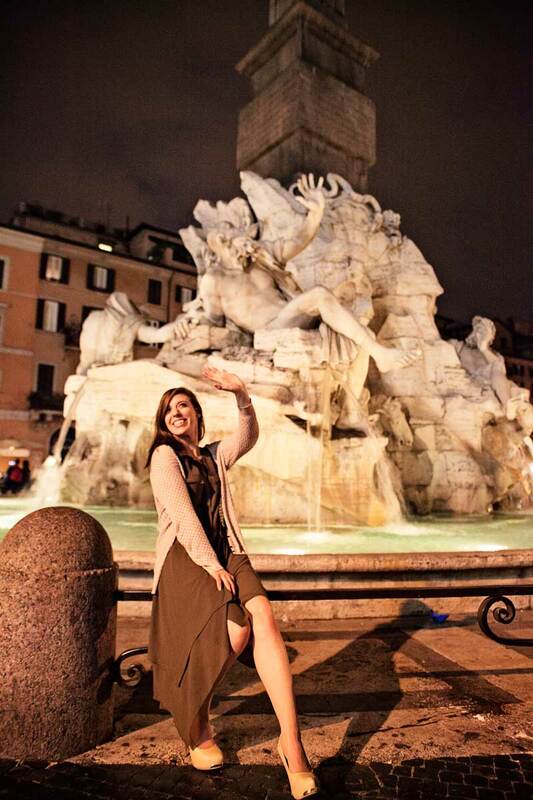 Christel was going to get married and her friends organized an all-fun Bachelorette Party in Rome. 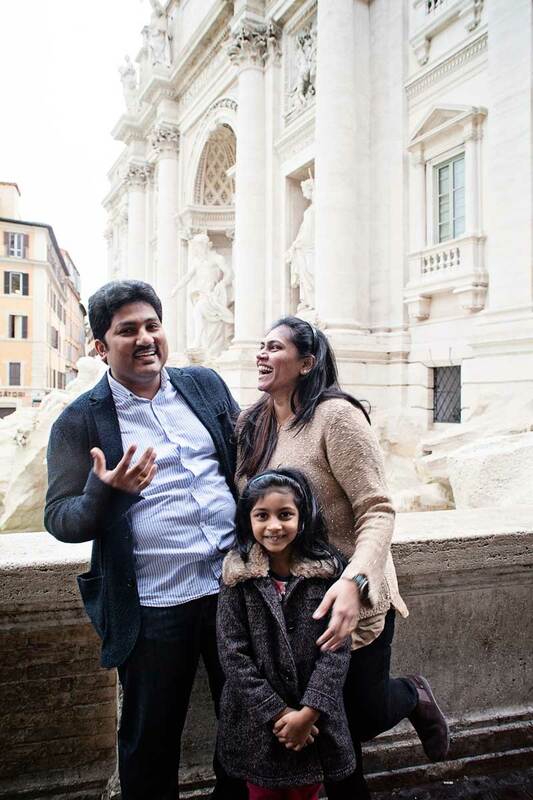 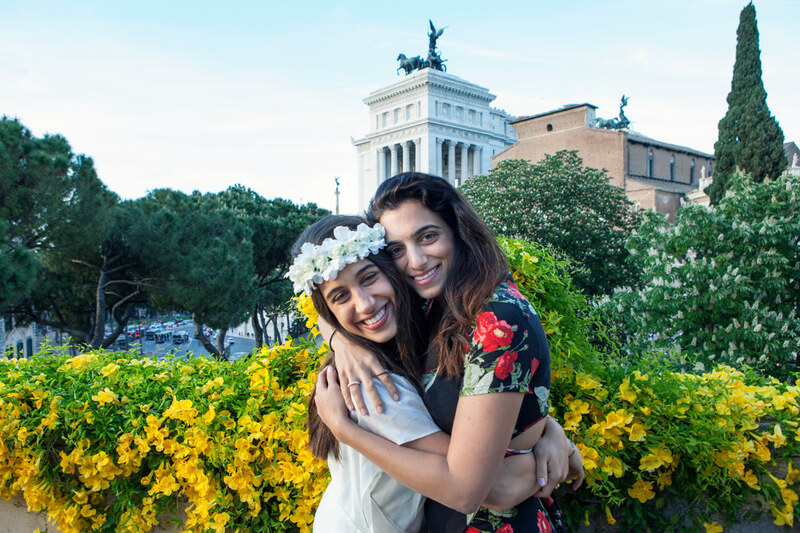 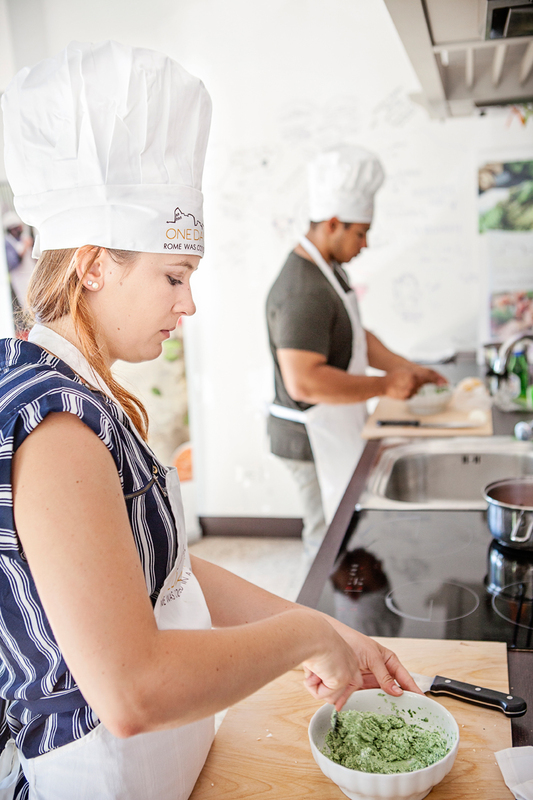 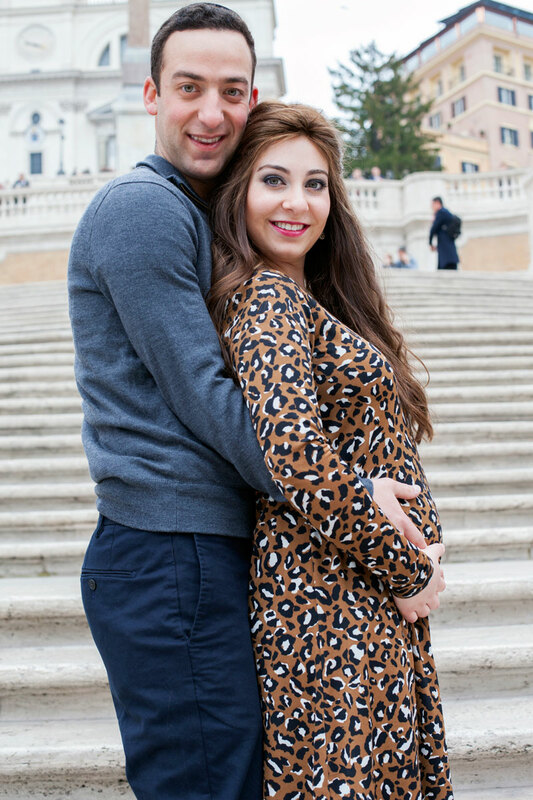 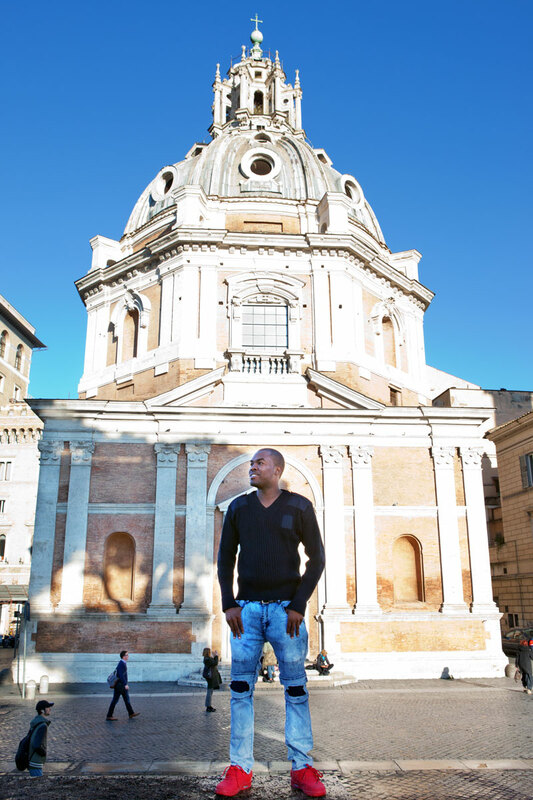 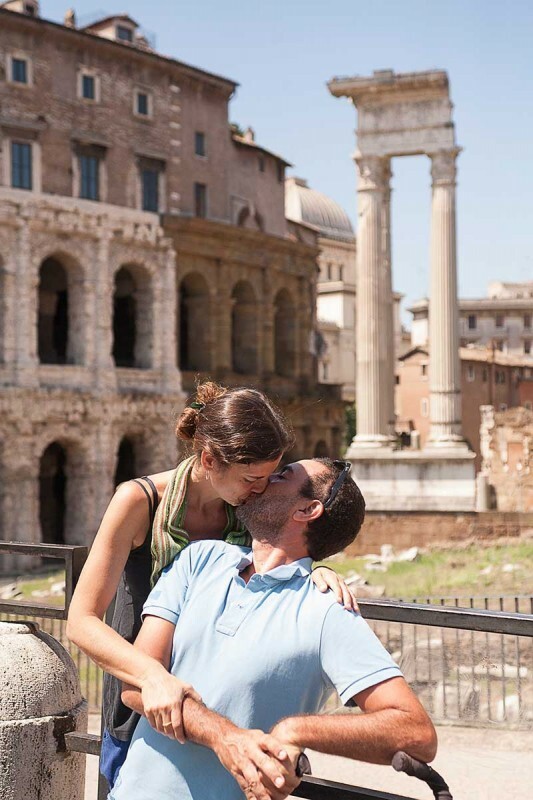 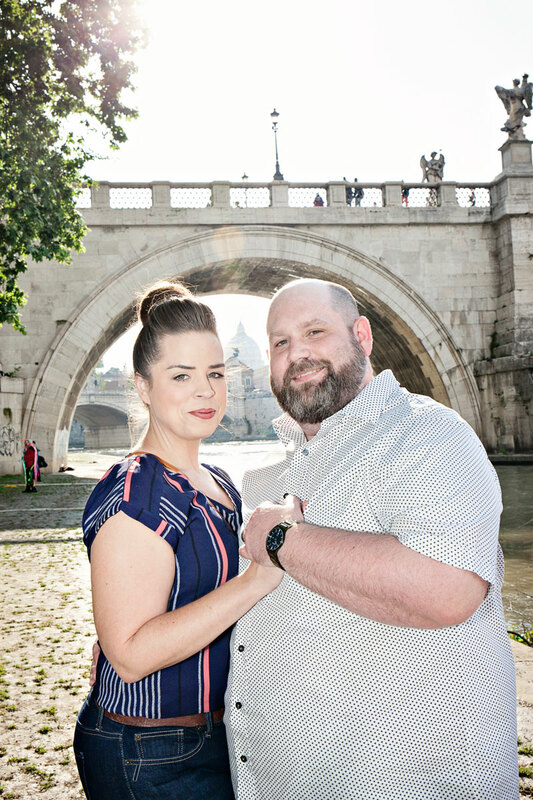 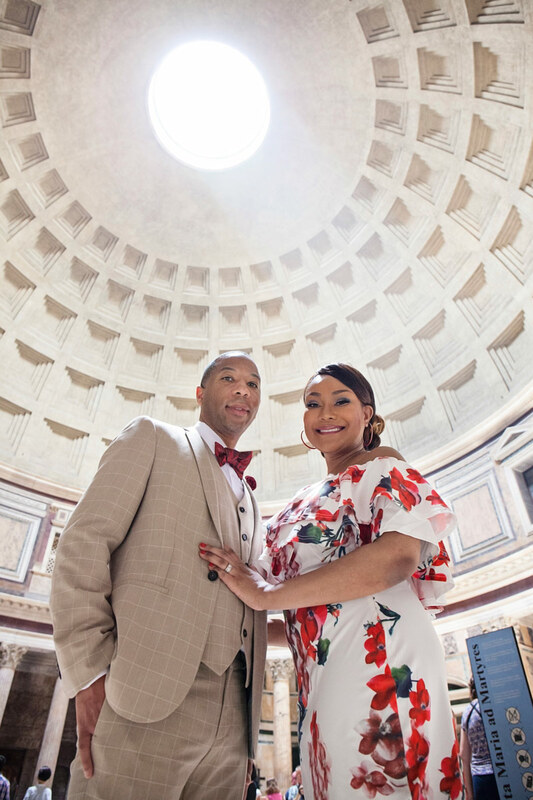 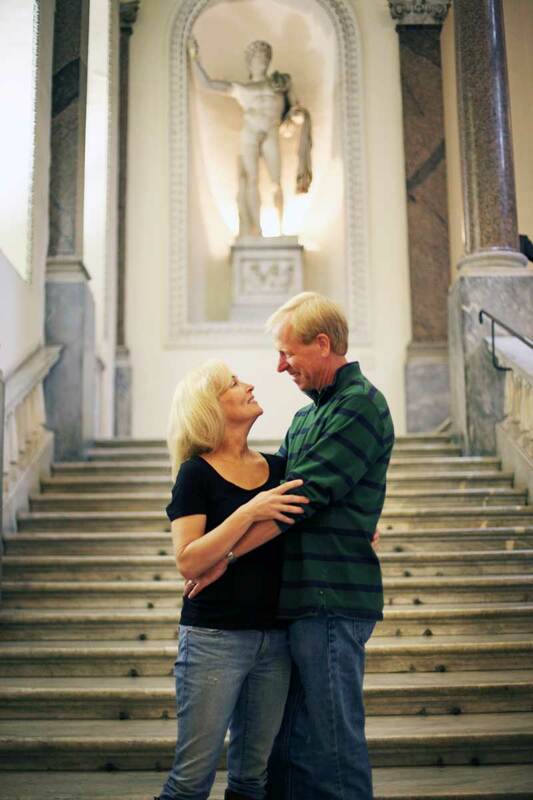 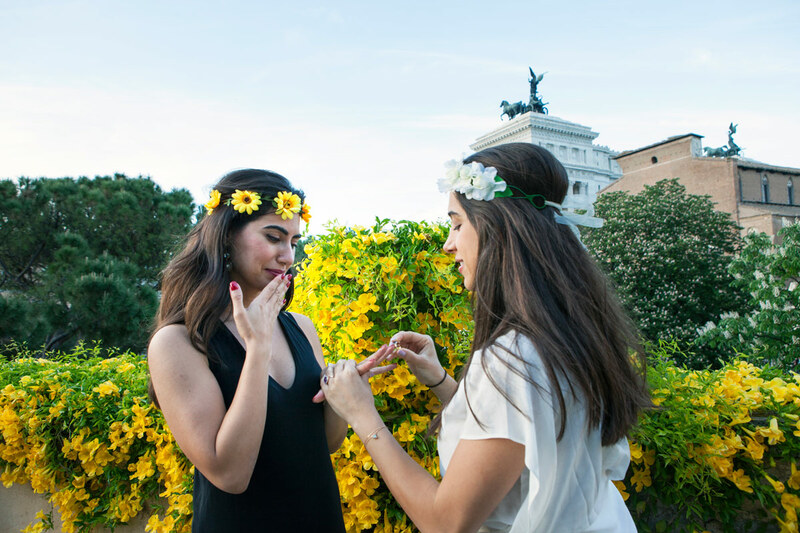 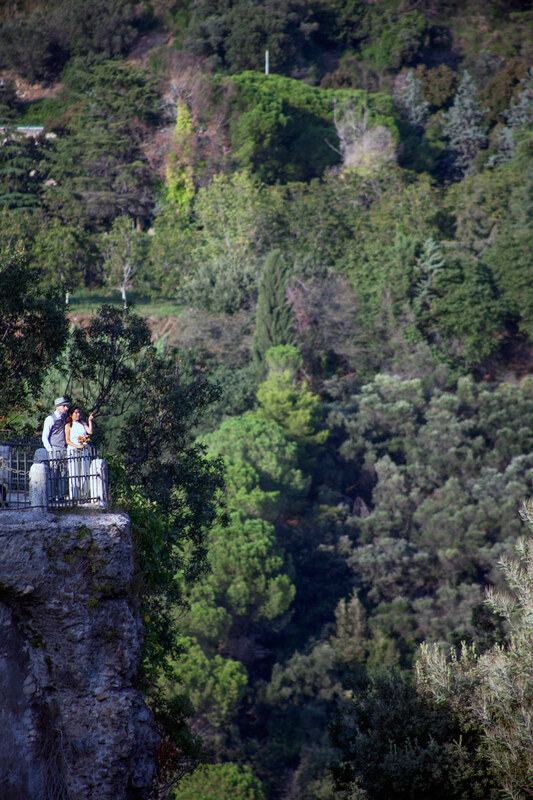 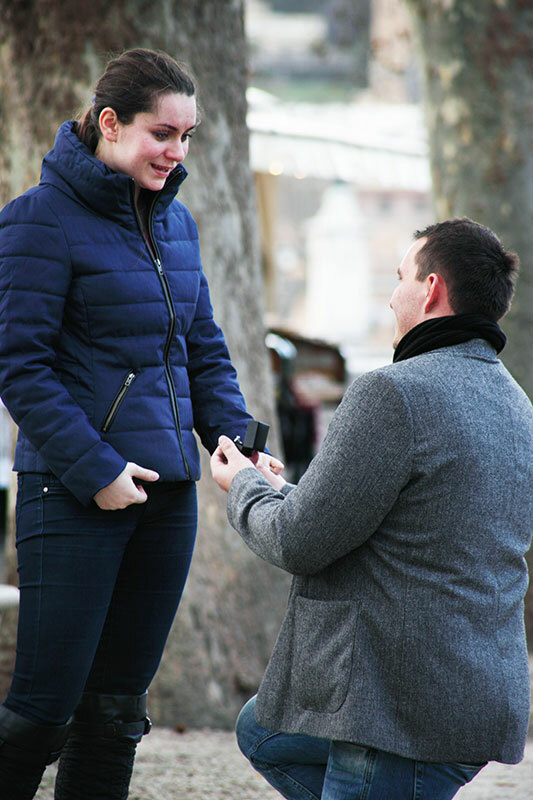 They arrived from Beirut, London and Paris and on their last day decided to surprise her by making their memories eternal with Rome Vacation Photographer. 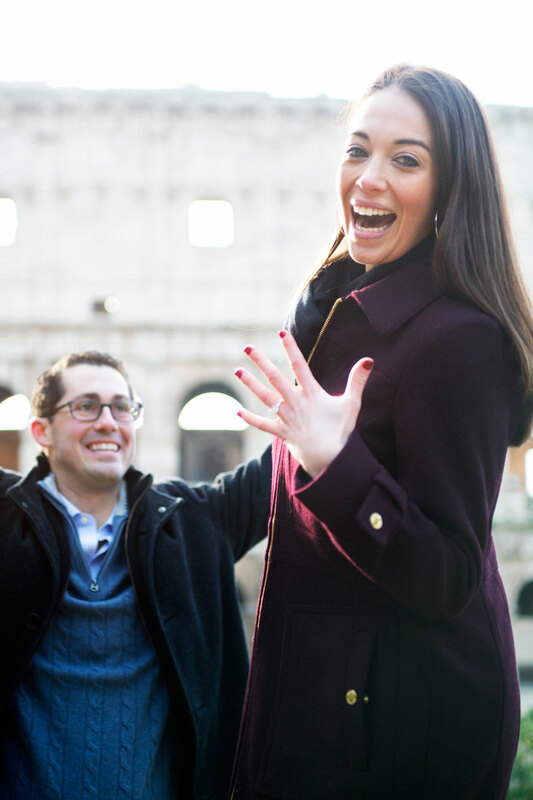 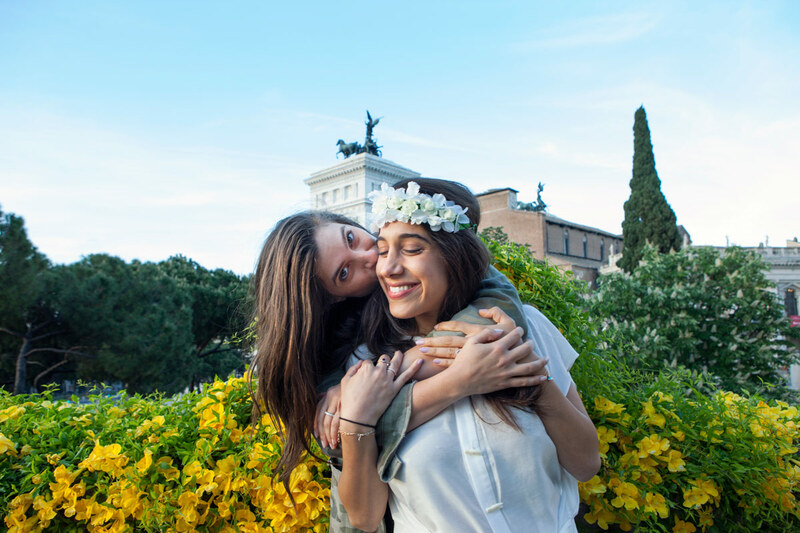 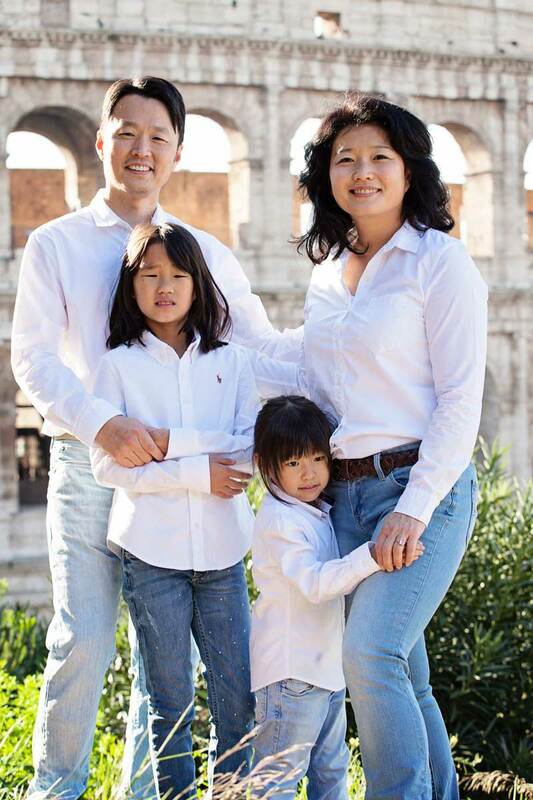 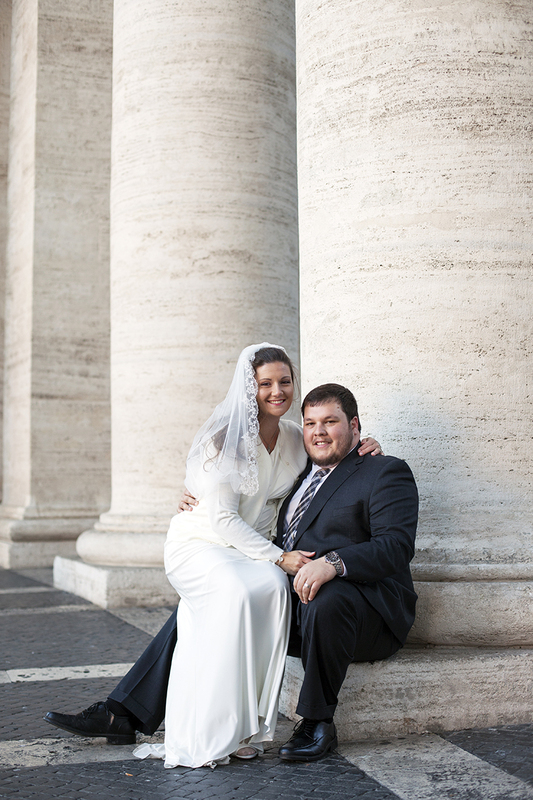 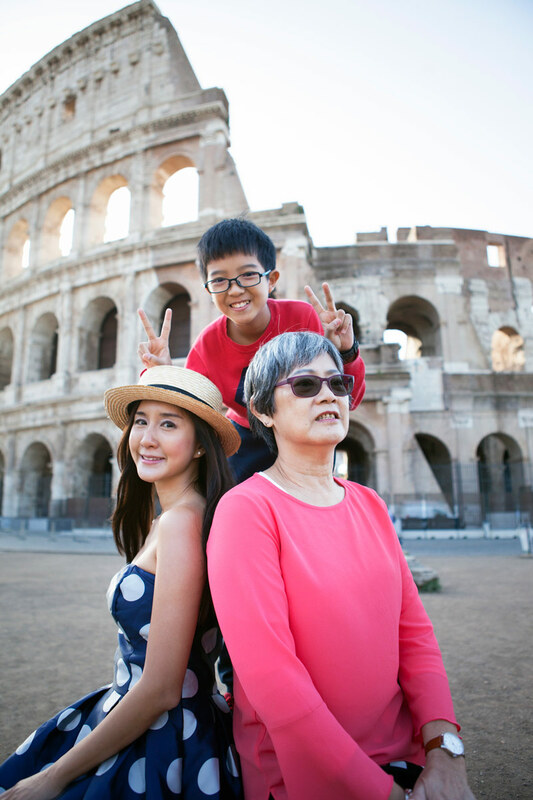 We met at the Colosseum, and almost immediately, the girls found themselves comfortable in front of our cameras. 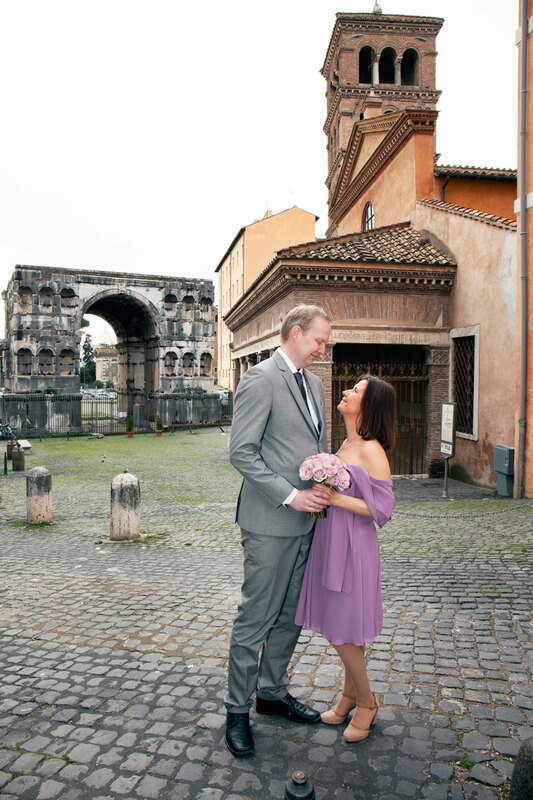 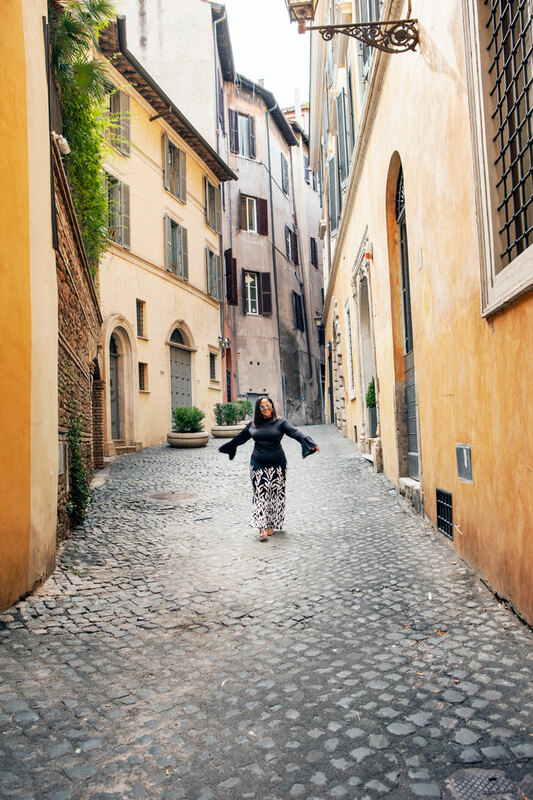 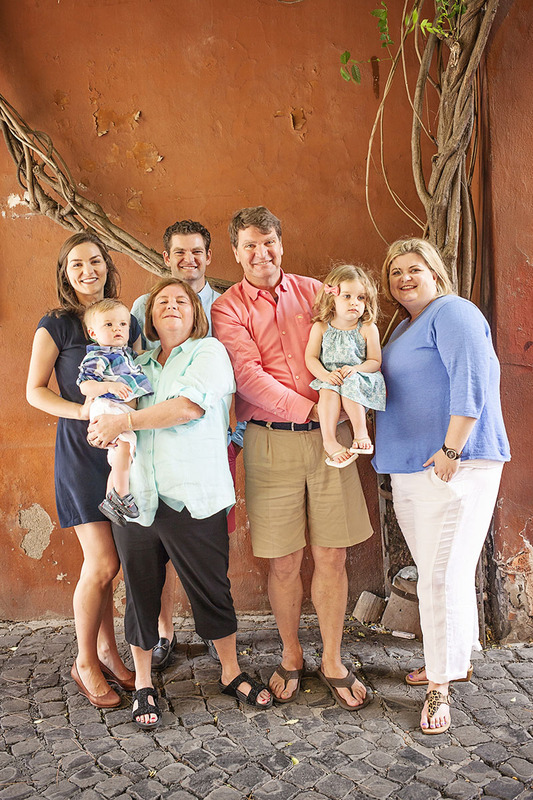 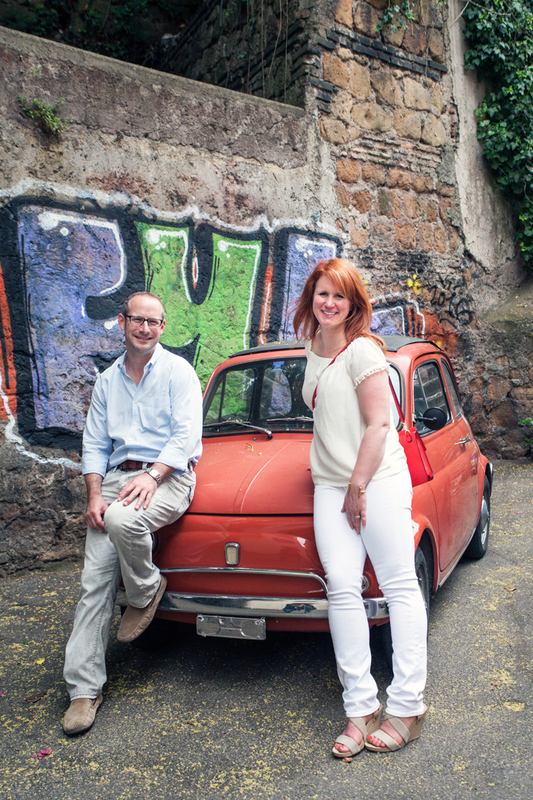 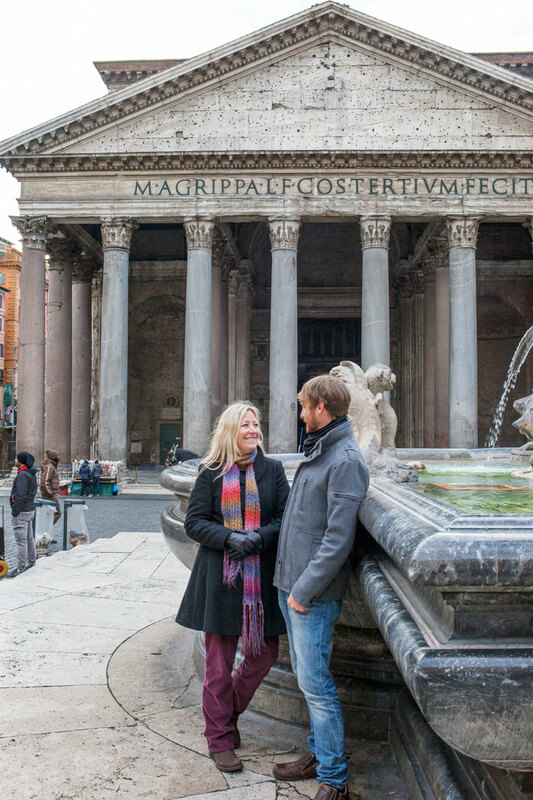 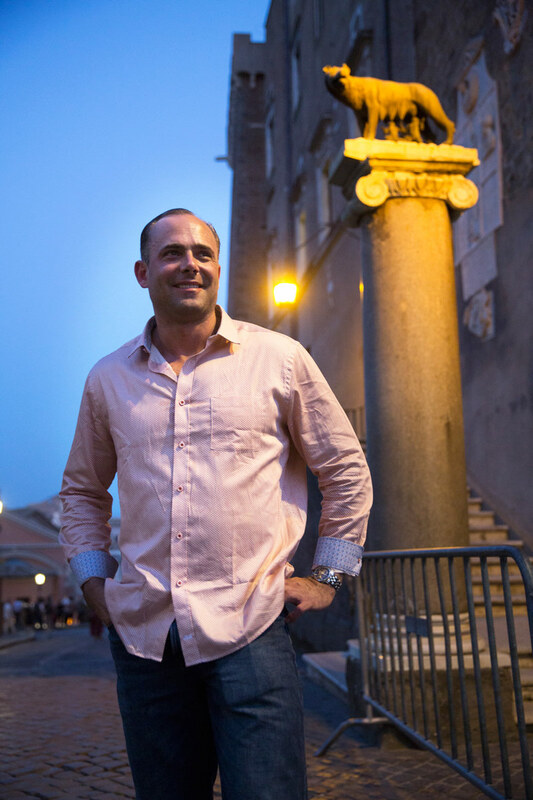 They laughed, hugged and danced their way down the Roman Forum and through the off-the-beaten-track cobblestone alleys of the city. 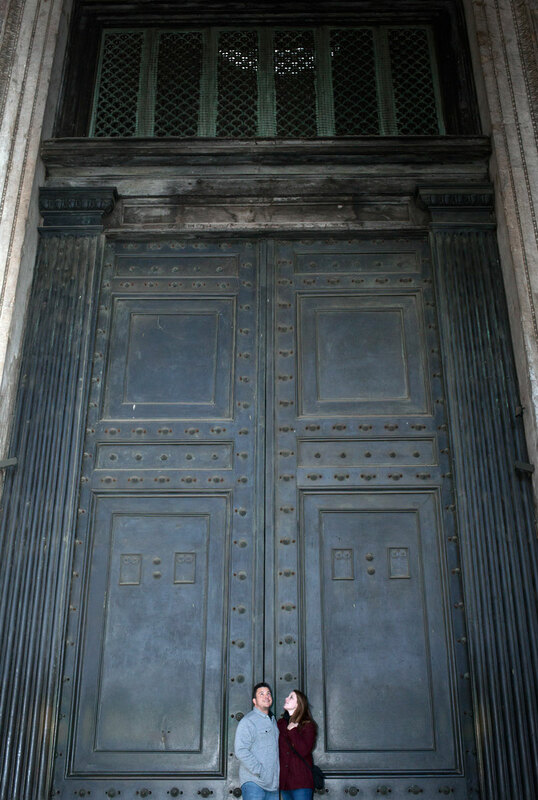 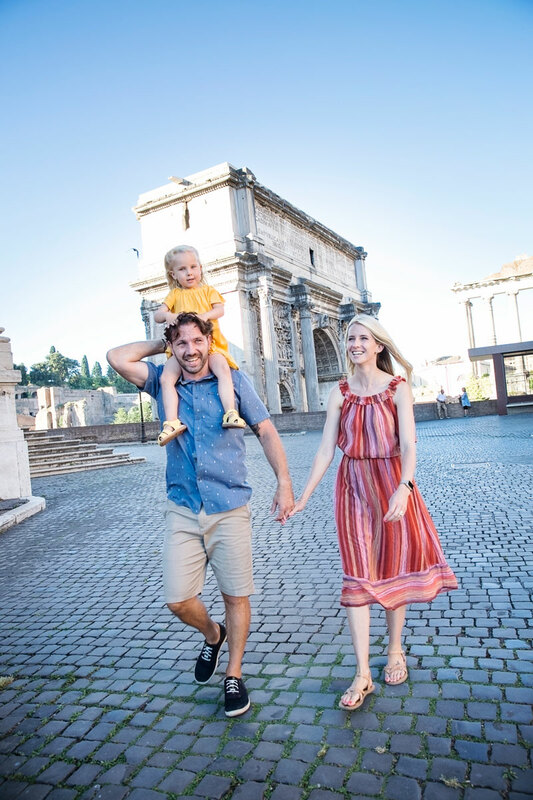 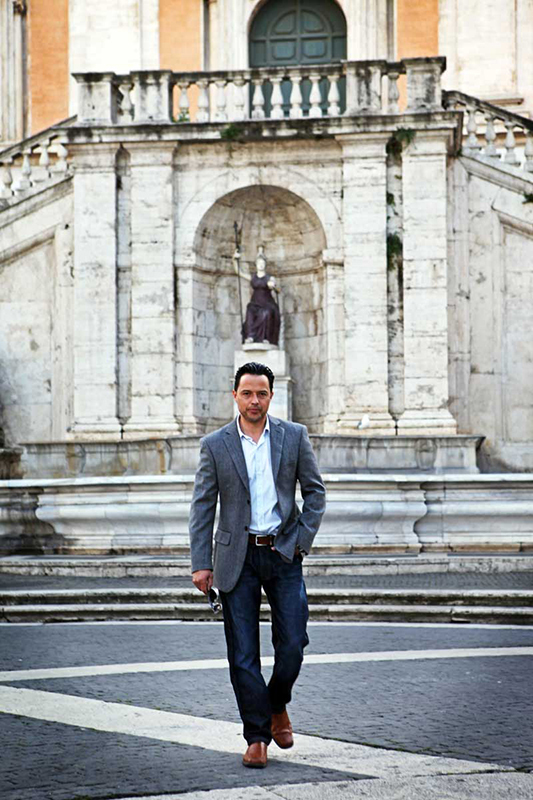 We then walked to see the beautiful Arch of Septimius Severus, by the Mamertine Prison and then walked up to Michelangelo’s magnificent Capitoline Hill from where we enjoyed unique views over the majesty of Rome’s Ancient Forum. 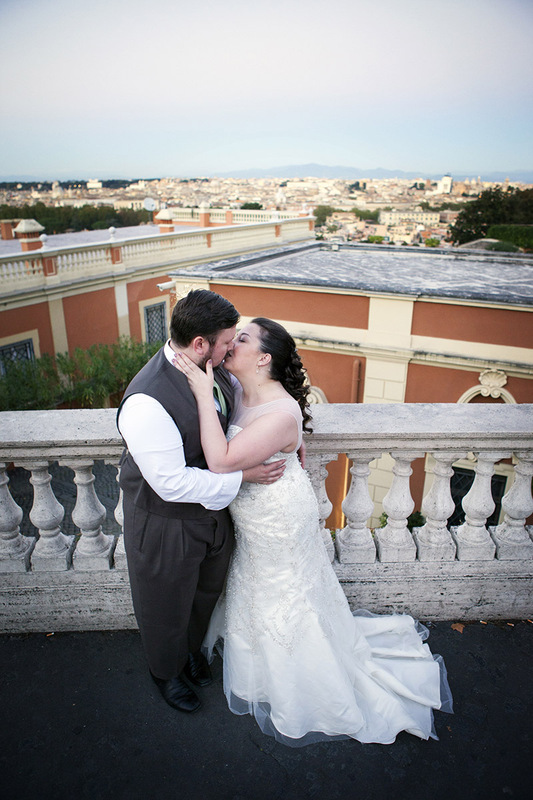 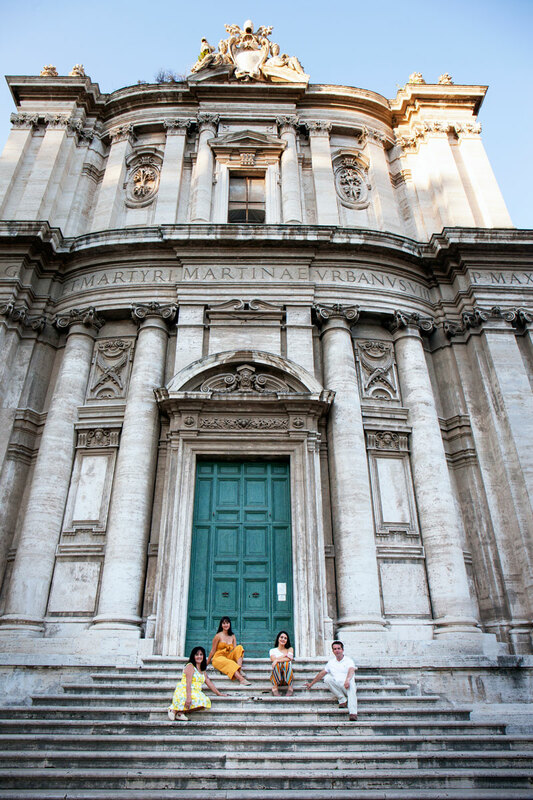 Finally we, crossed the Capitoline and reached another terrace, where we took our last group photos with the girls and they all took single photos with the bride-to-be as the sun set over the beautiful panorama we now had over the multitude of domes of the churches of Rome. 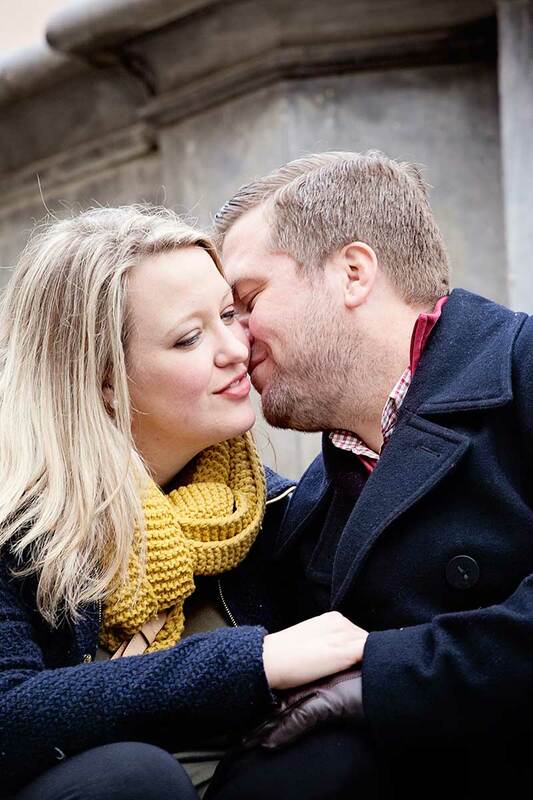 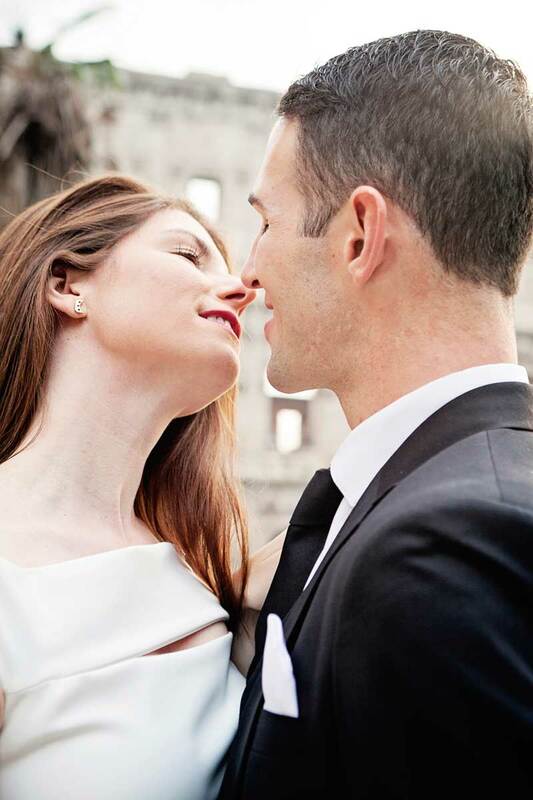 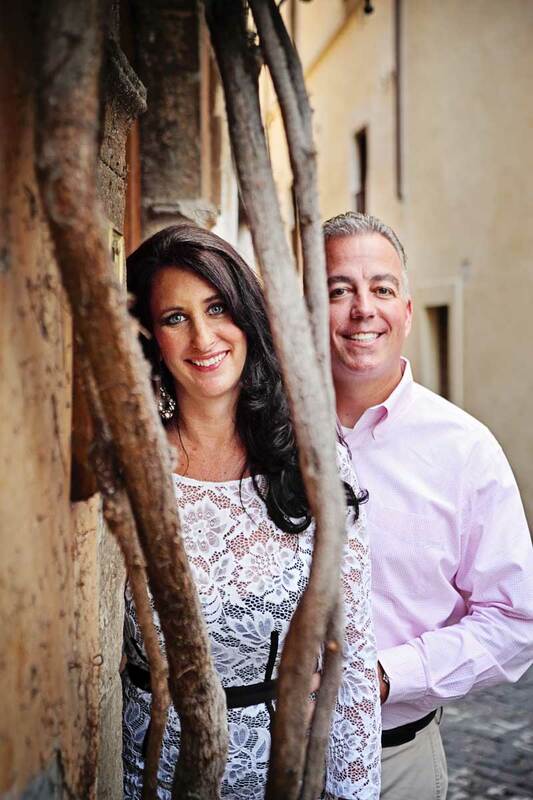 Christel, we wish you and your husband-to-be, a beautiful and happy life and hope the two of you will come back for a photshoot of you two once you are married! 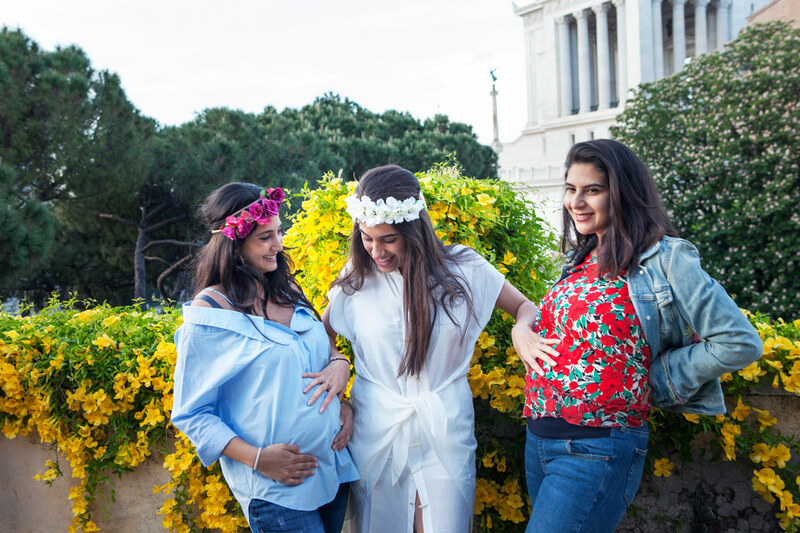 As for all the group, we hope you will keep this wonderful friendship you have forever and will look back at these photographs for many years to come!